Cost of the whole day including kits and the morning tea is $55. Nat is sharing her paper bag gift card/money holders which can even can be used as cards. 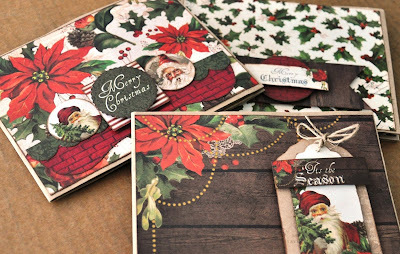 These are just beautiful and will be perfect for those friends and family members who are hard to buy for or like a gift card or money for Christmas. 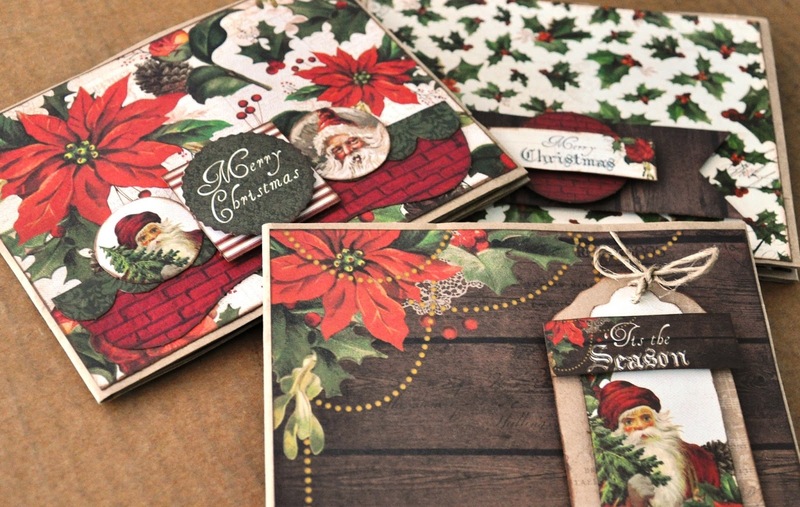 Using a Kaisercraft pad of Christmas Papers you will have plenty leftover for making more. You will get to making three holders in the class with Nat. Kathy is sharing one of her beautiful specialty cards. 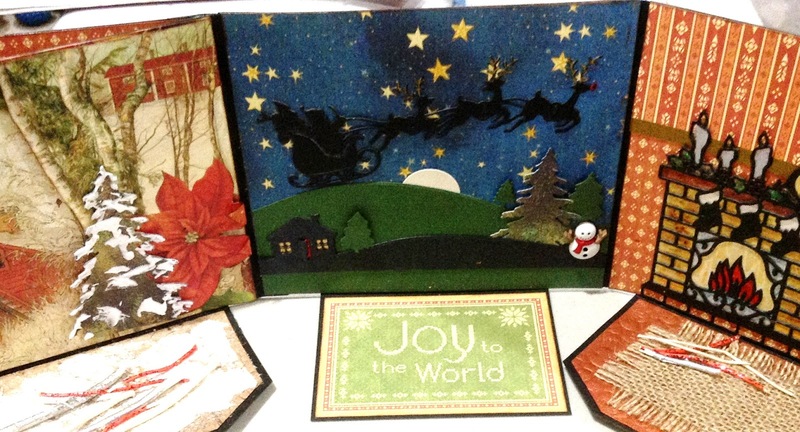 It is a three fold card with three different scenes. Each scene has its own special little features. It even has the Christmas Carol "tis the night before Christmas" included in a flap on the front of the card. Using Graphic 45's latest Christmas collection, this card will be perfect for someone who deserves more than just a card. It could even be the perfect gift for someone special. I will be sharing a double layout using Echo Park. Get in front this year and have a page ready to go. You will be able to take the perfect photos on the day and add them later on. 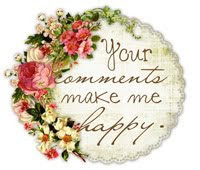 I am cooking up a lovely morning/lunch for you all. My sausage rolls and pasties along with lemon cheese cake meringue tartlets are on the menu and more. Paper Trimmer. Double sided tape, foam tape, extra strong double sided tape, wet glue, ruler in inches, green and brown ink pad. 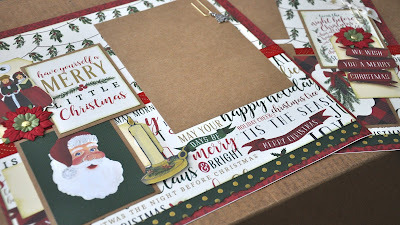 Paper piecer and cork mat. We only have about 8 spots left so please contact me if you are wanting to join us. We will have a large pop up shop on the day and everyone attending will receive 20% off all purchases on the day.